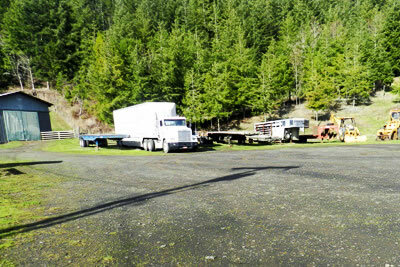 Messerle & Sons is licensed and insured to carry freight in the Pacific Northwest. We specialize in livestock with a semi-truck trailer and two 18 foot gooseneck cattle trailers. We can handle most size and sorts of livestock. The well-being of the livestock is top priority when being transported. Along with livestock we can transport a wide range of freight with our other equipment.